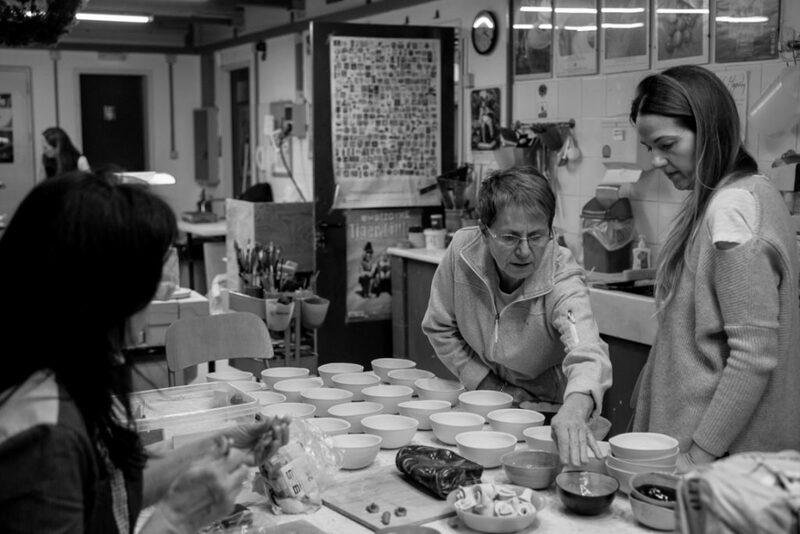 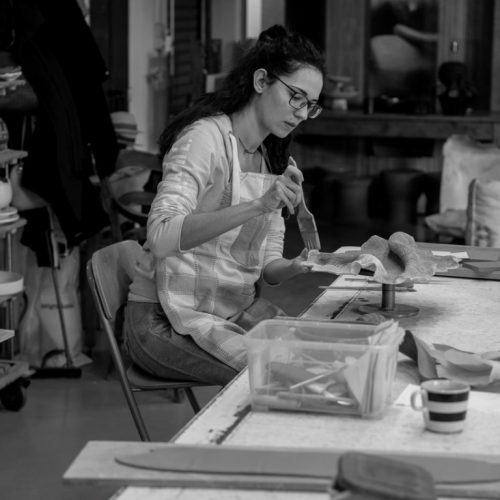 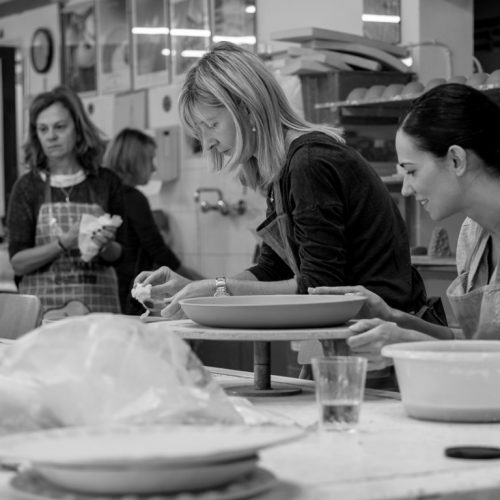 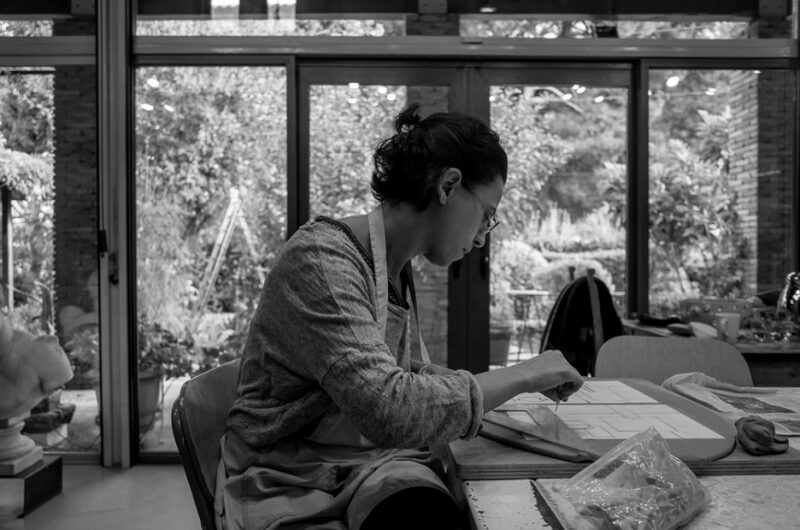 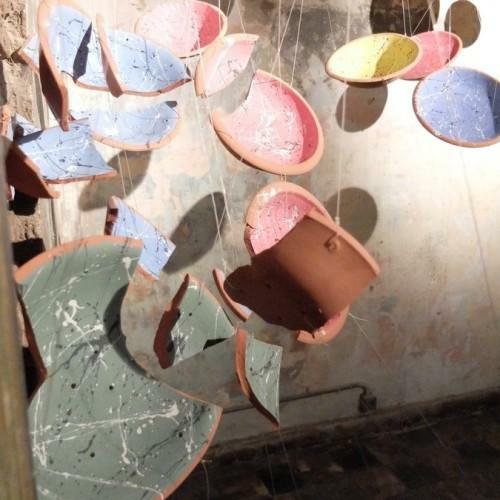 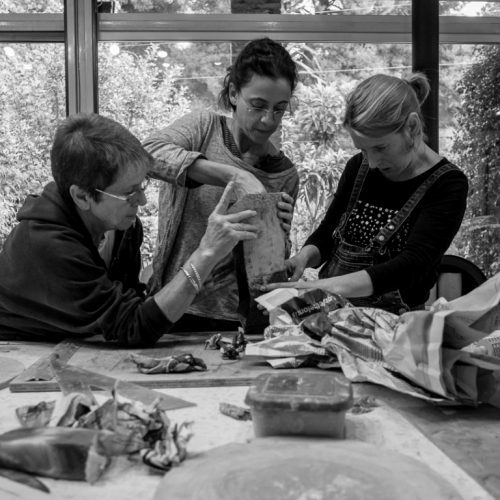 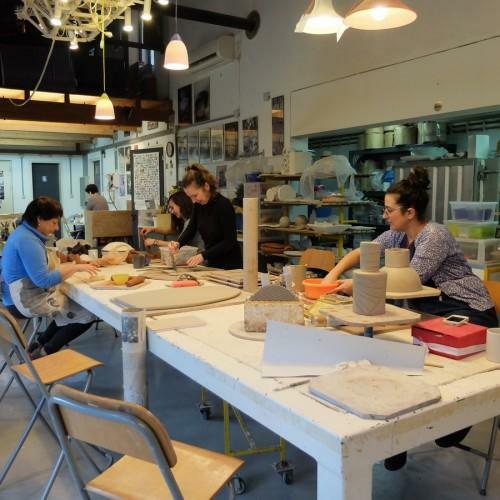 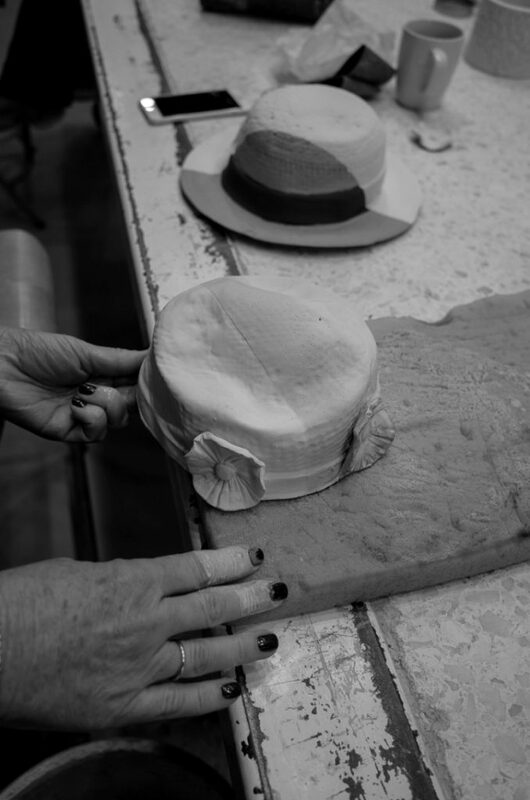 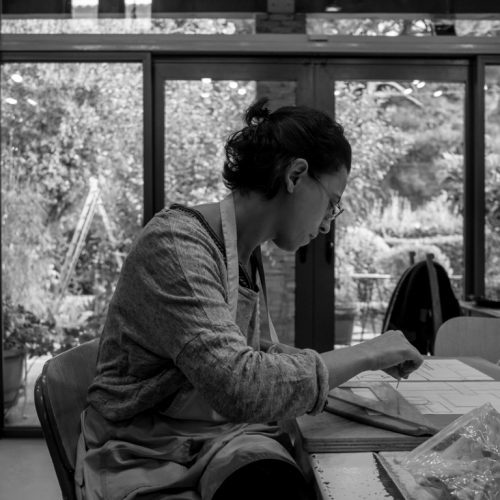 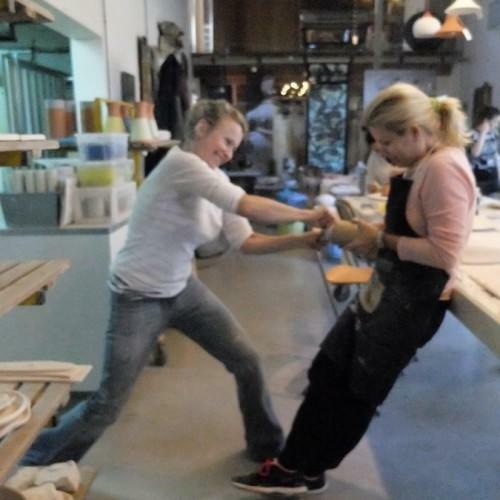 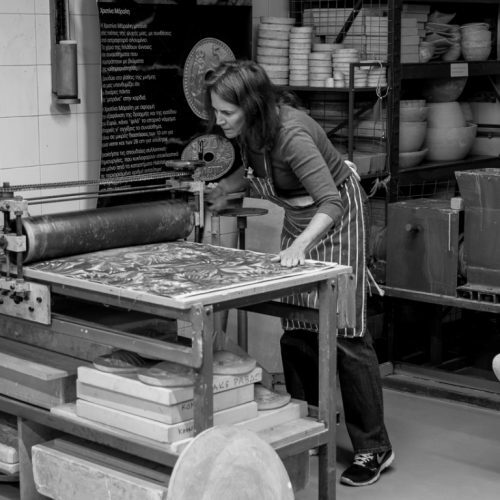 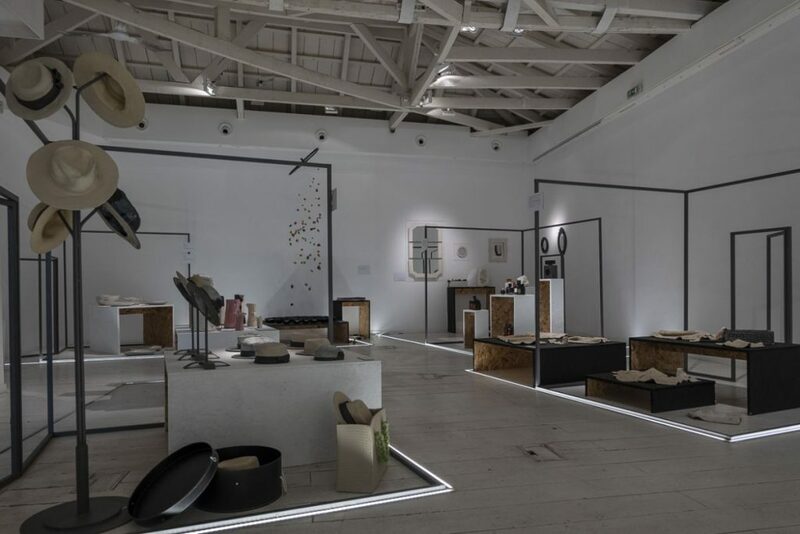 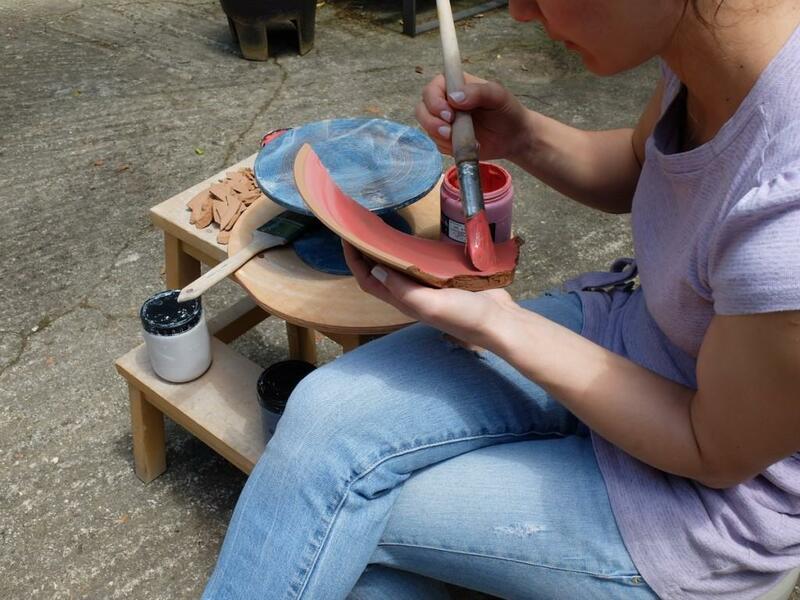 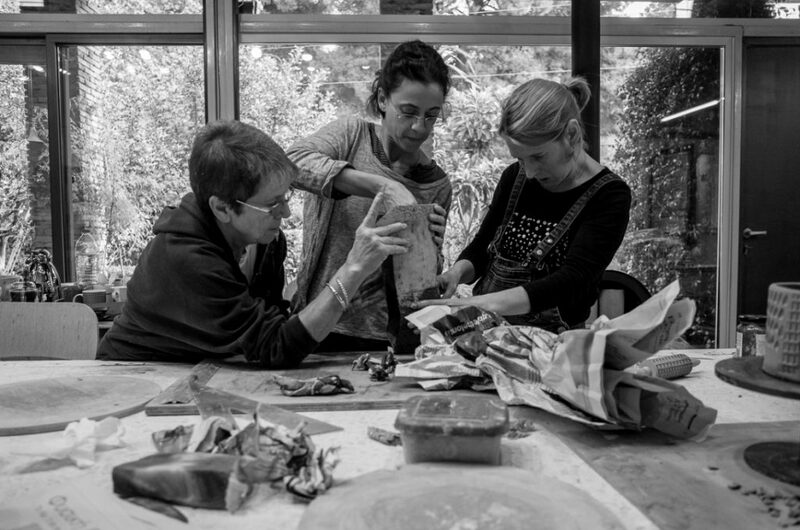 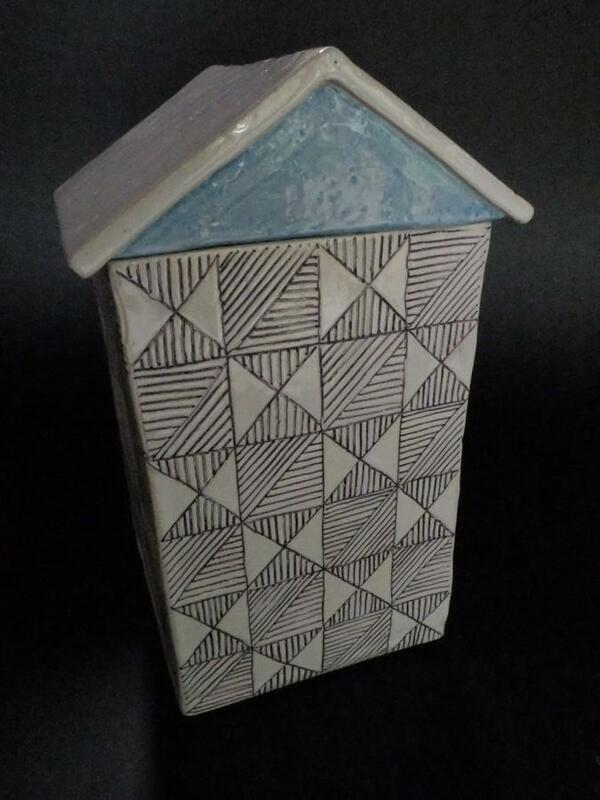 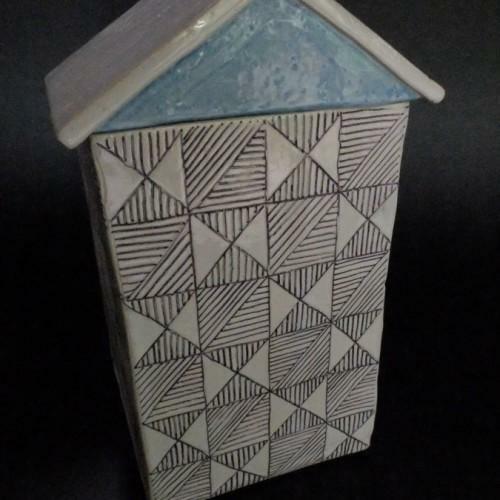 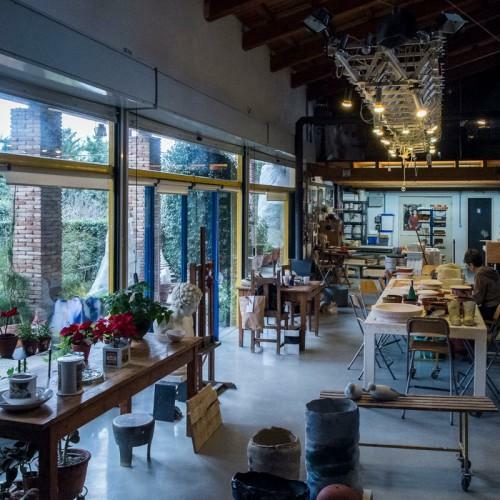 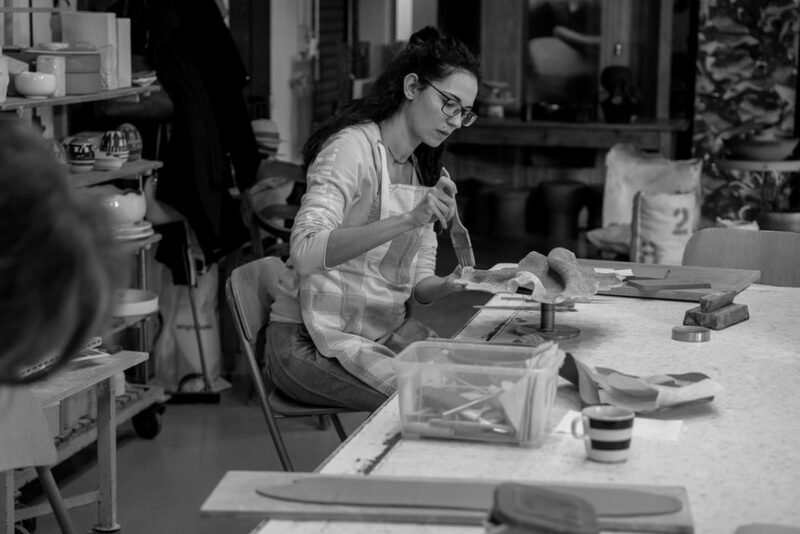 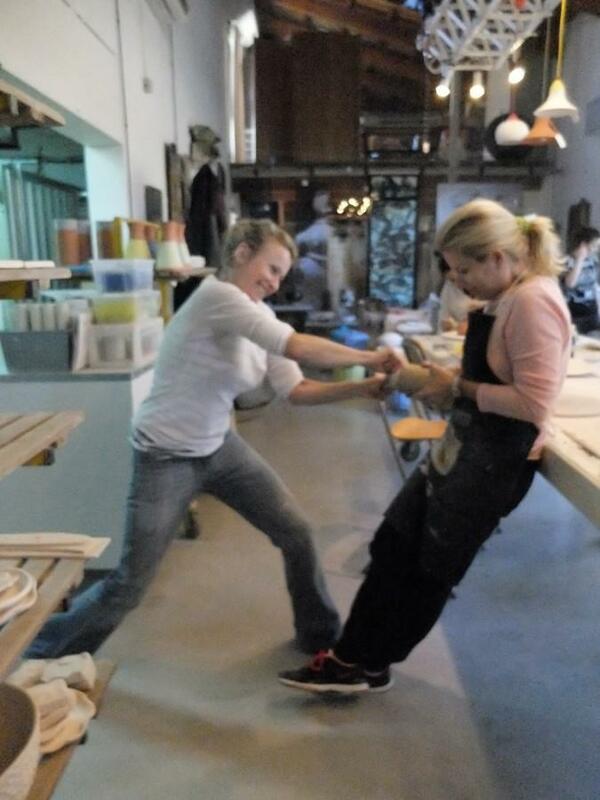 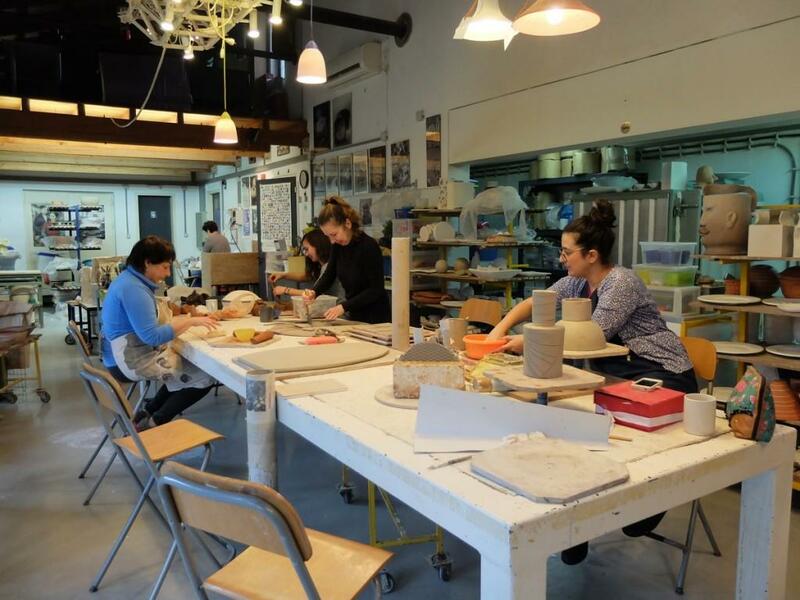 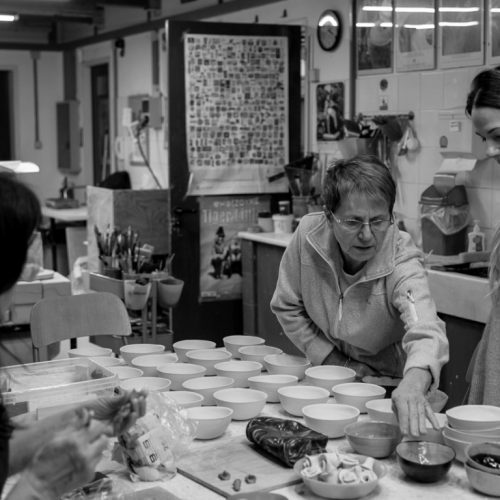 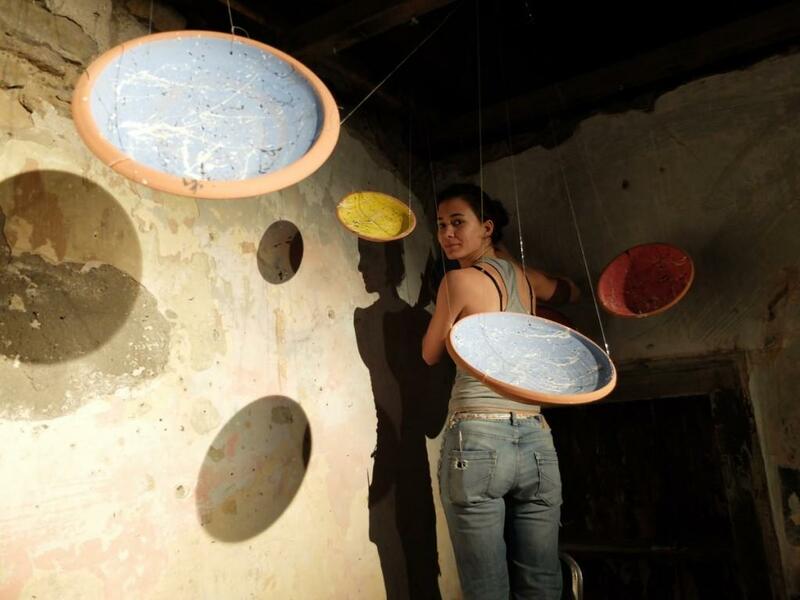 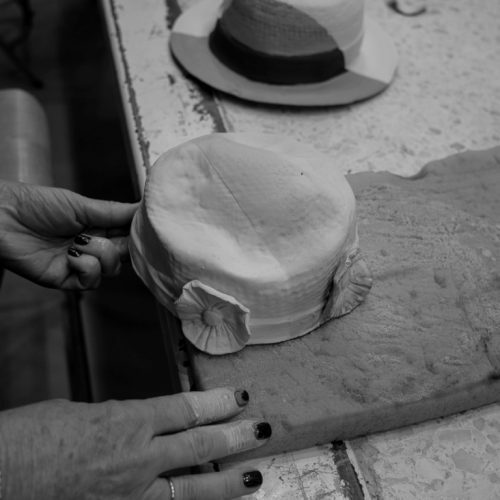 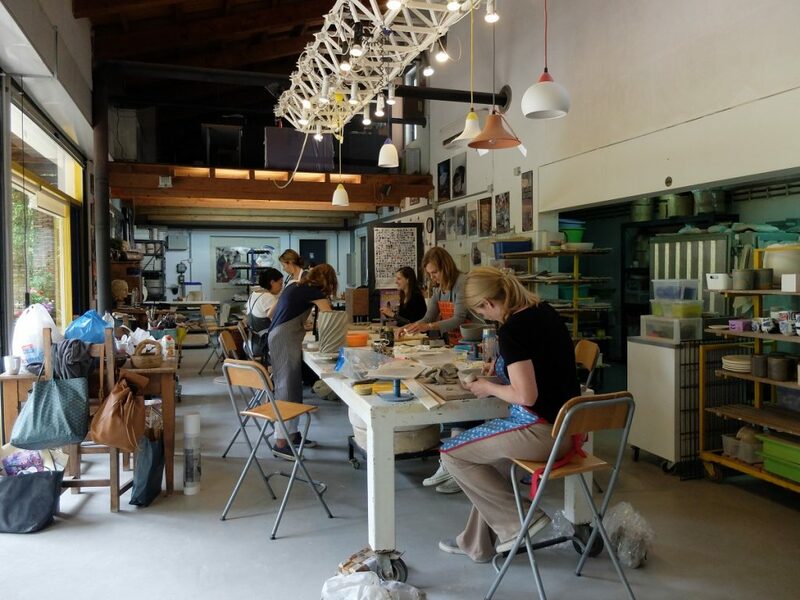 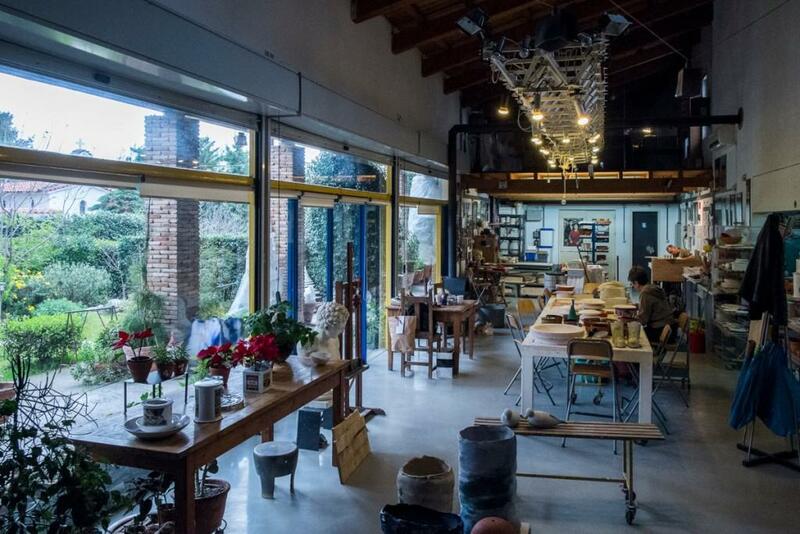 Christina Morali for the last 6 years teaches ceramics in her beautifull studio 23 km outside of Athens.The building is a loft surrounded by trees and flowers from the Mediterranean nature.The studio overlooks the garden an inspiration for creating ceramics! 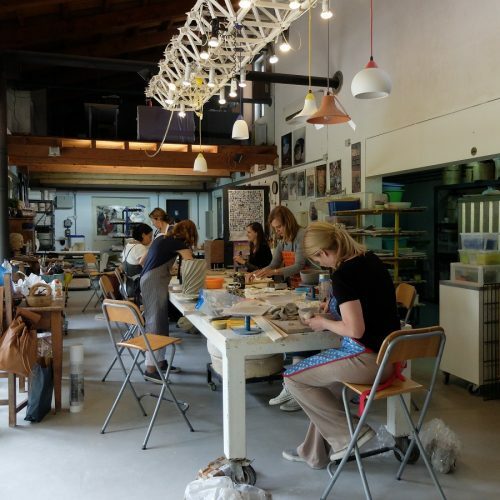 The lessons starts in the beginning of October and finish at the end of May,once a week for three hours.Lessons are for adults and beginners. 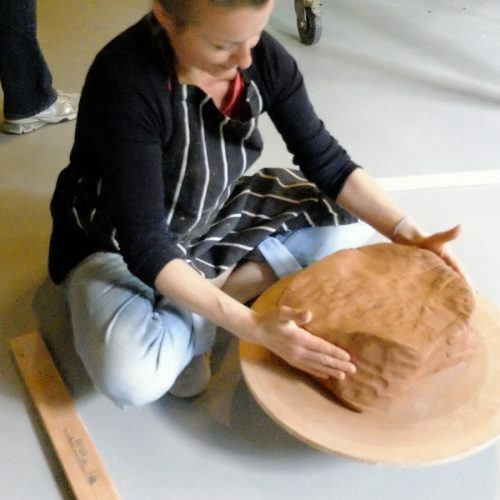 She aims to bring out the sensitivity that is hidden in all people and believes that all can create if they believe in themselves.She has examples of her students who came and had no experience before with art within a short period of time they started creating good quality of work.The result of love and fantasy .Her way of teaching is a combination of discipline and freedom.There is no good or bad in her vocabulary .That belongs only to the technical side of a pot.She tries to make her students bring out their own personal touch. 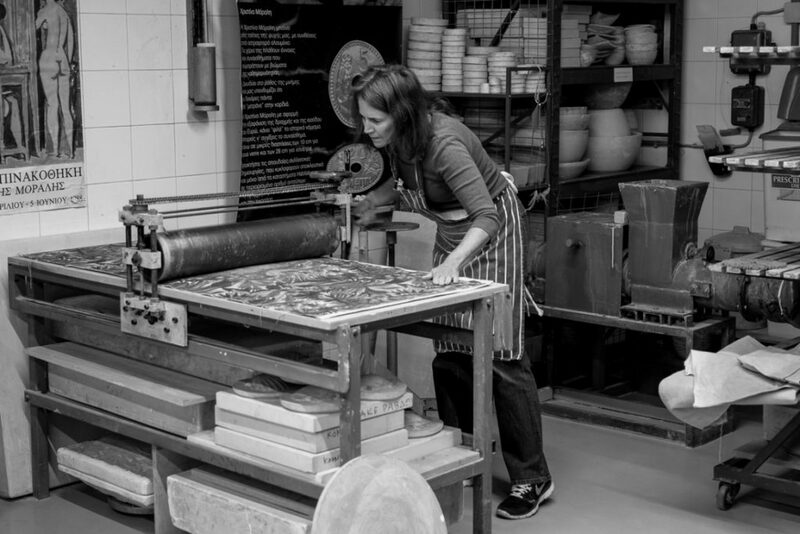 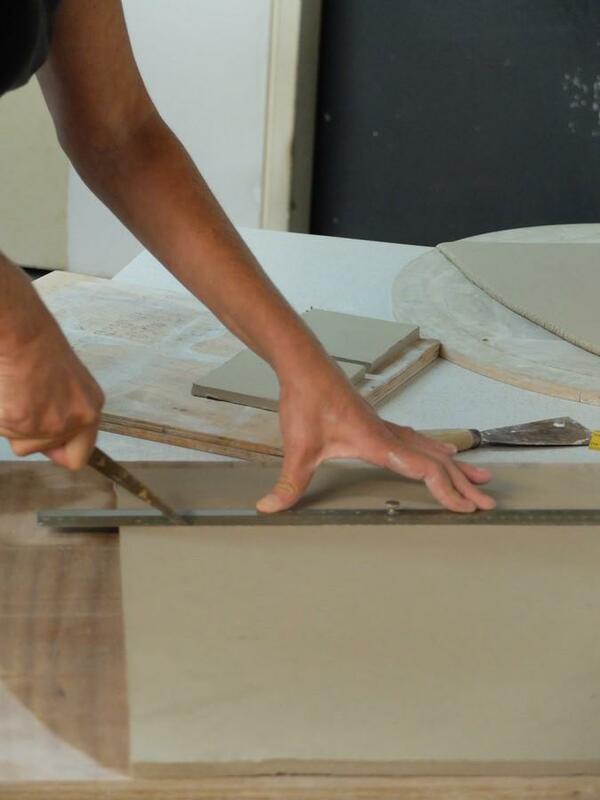 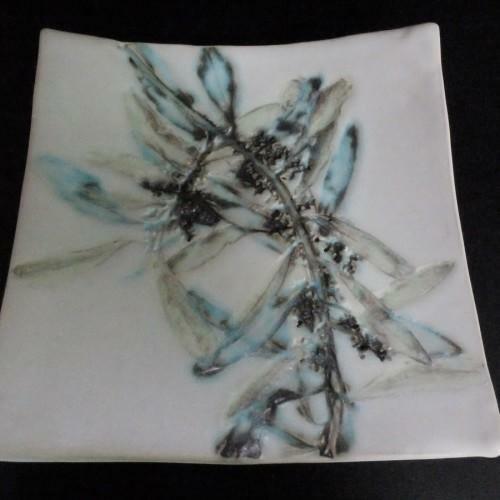 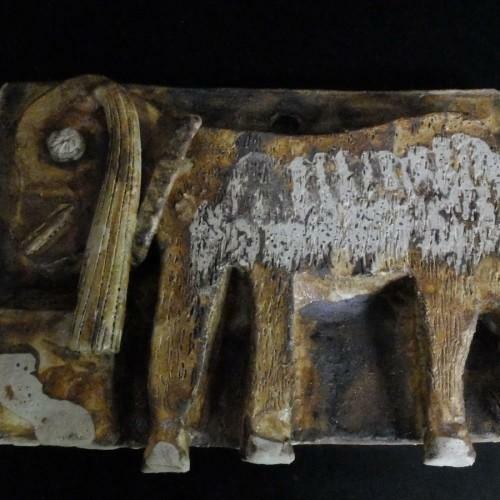 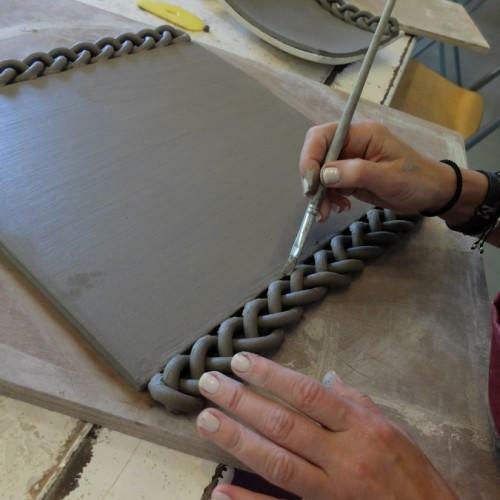 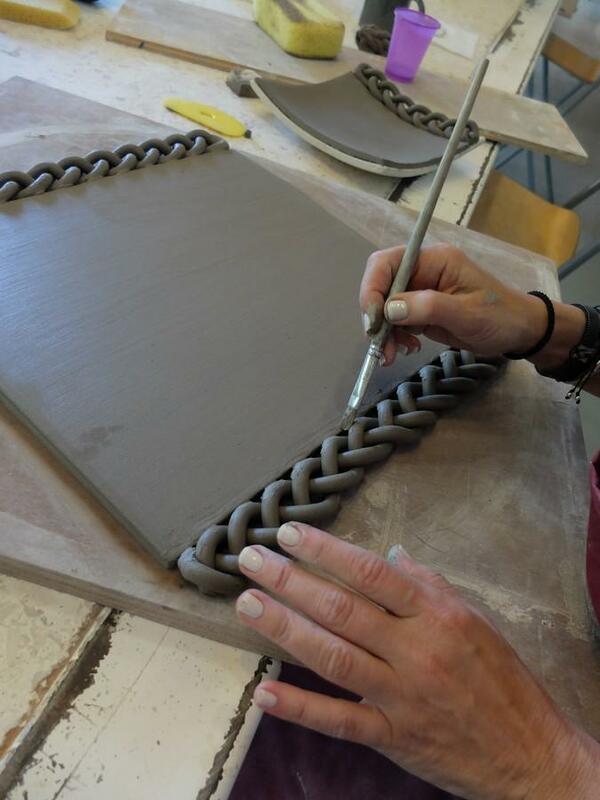 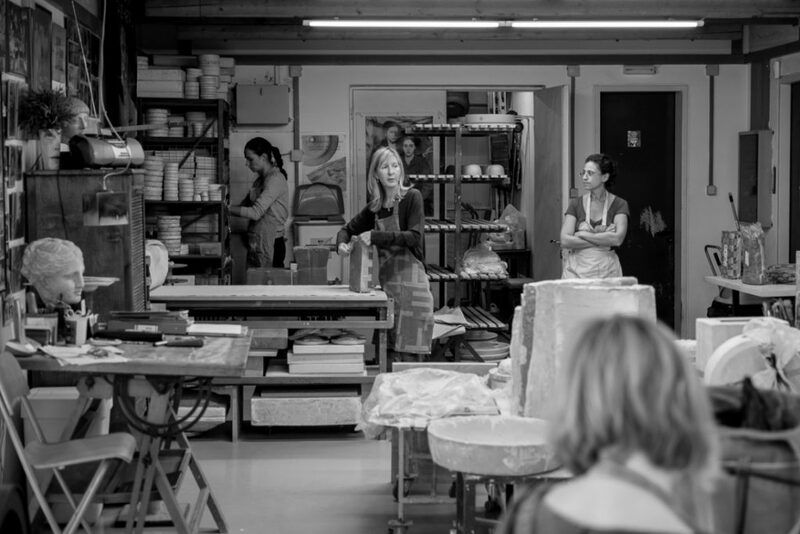 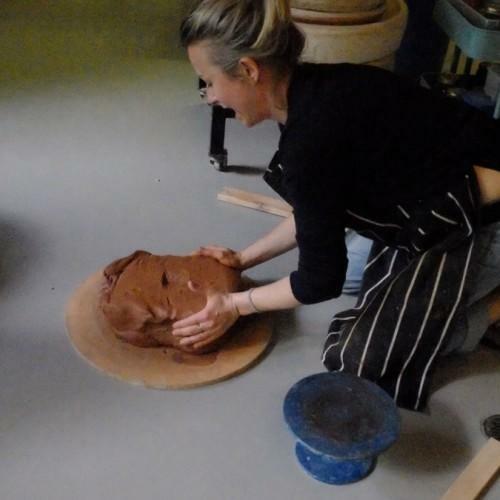 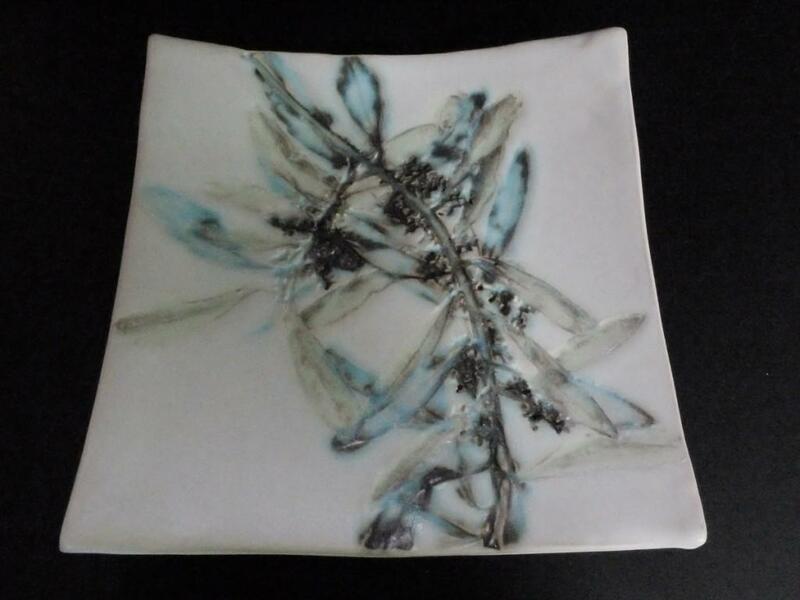 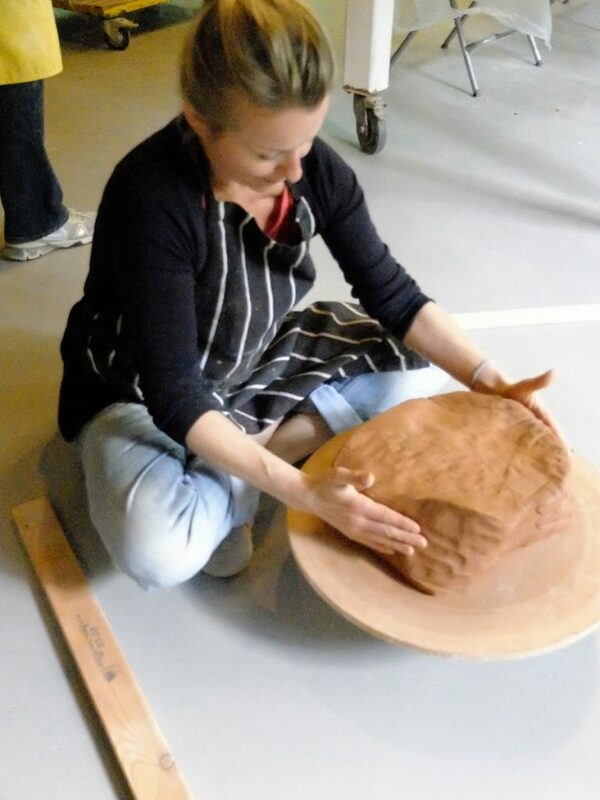 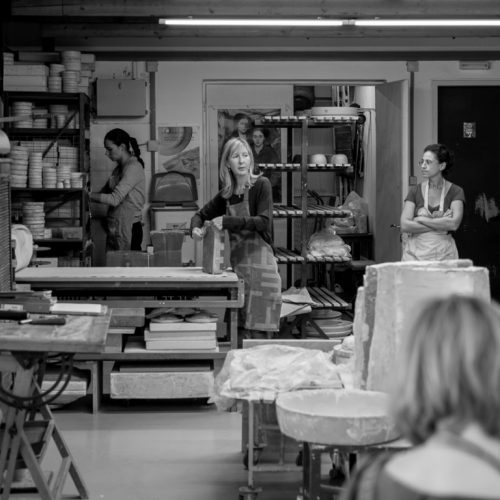 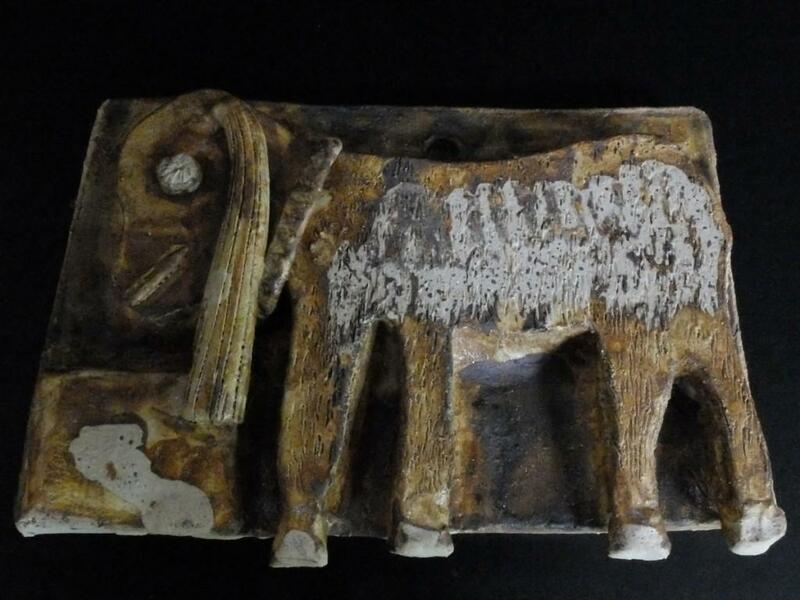 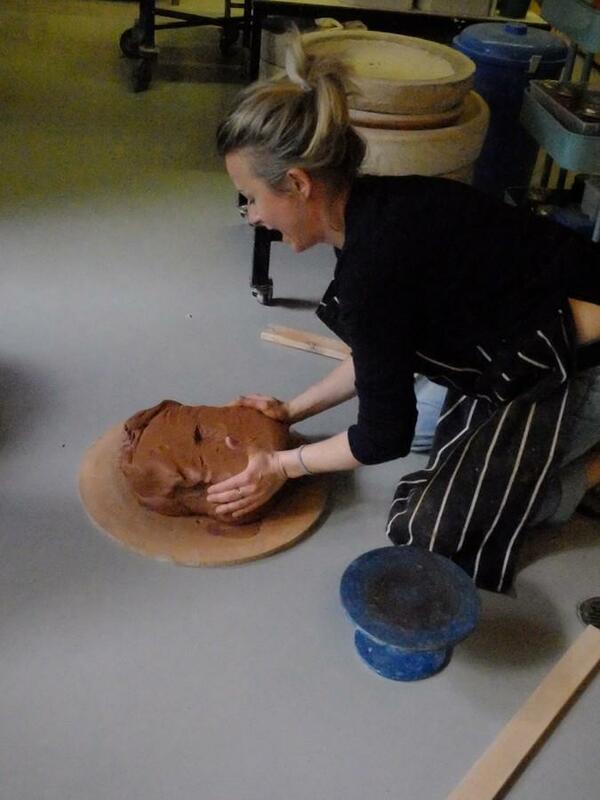 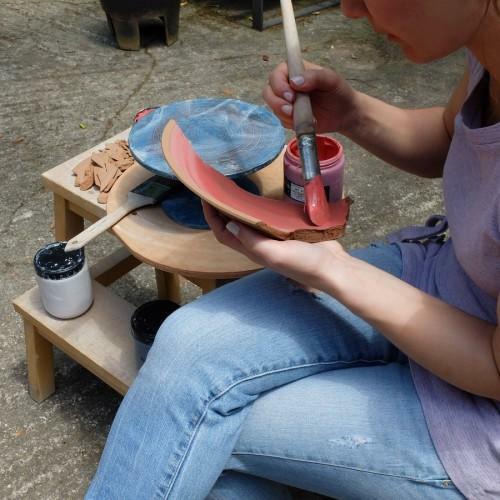 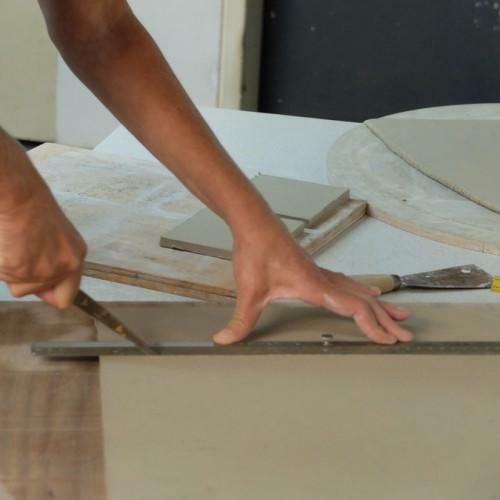 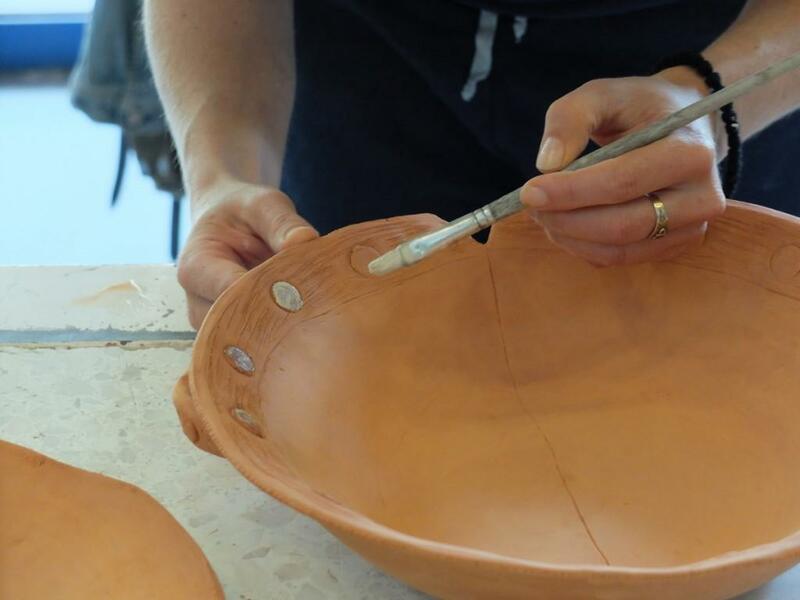 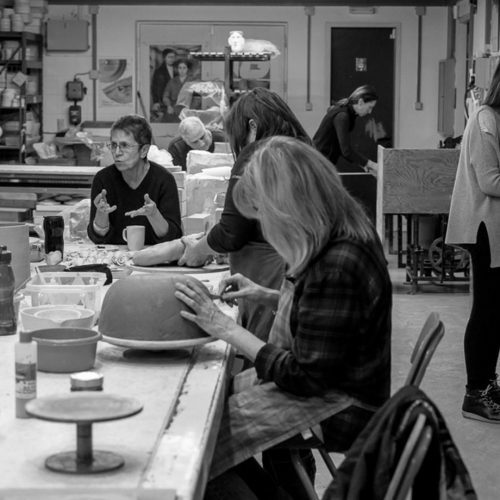 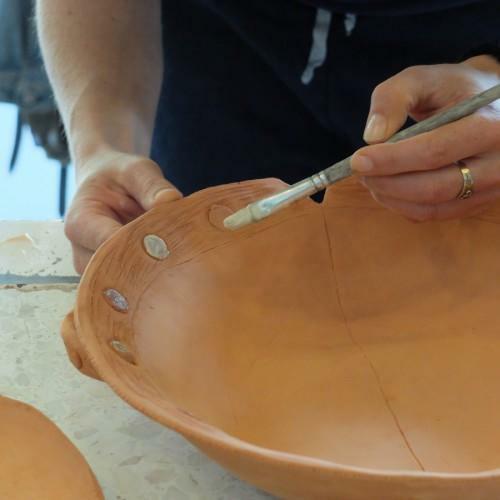 The lessons include slab building ,wheel, coiling and also glazing ,slip trailing.The clays she uses are mainly stoneware.Every year there is a project at which all students work for it. 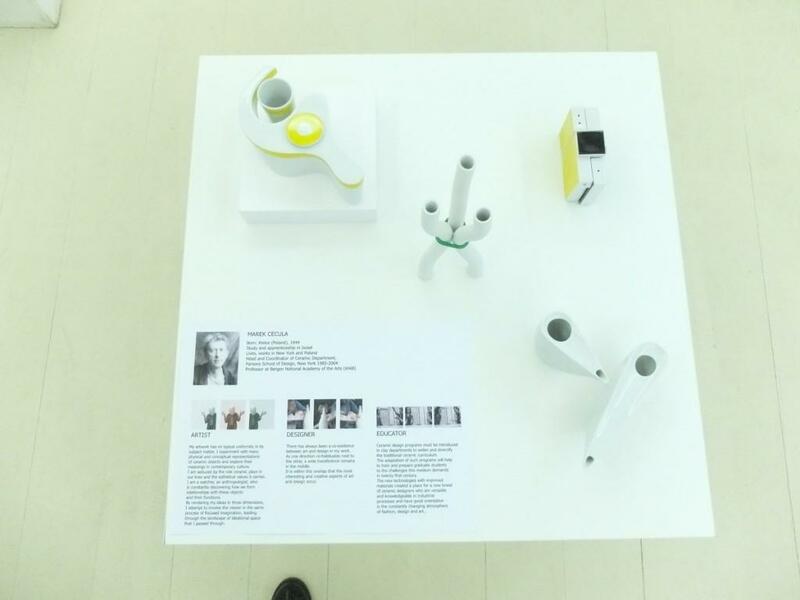 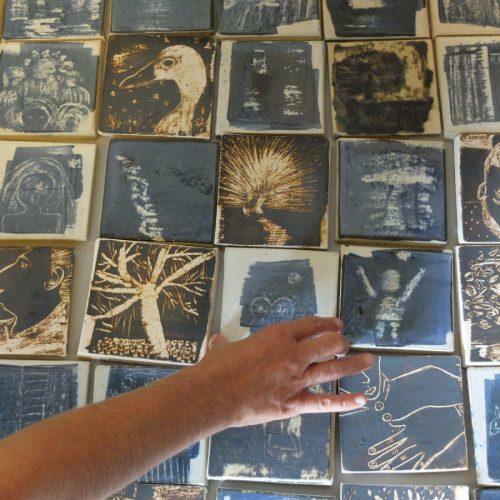 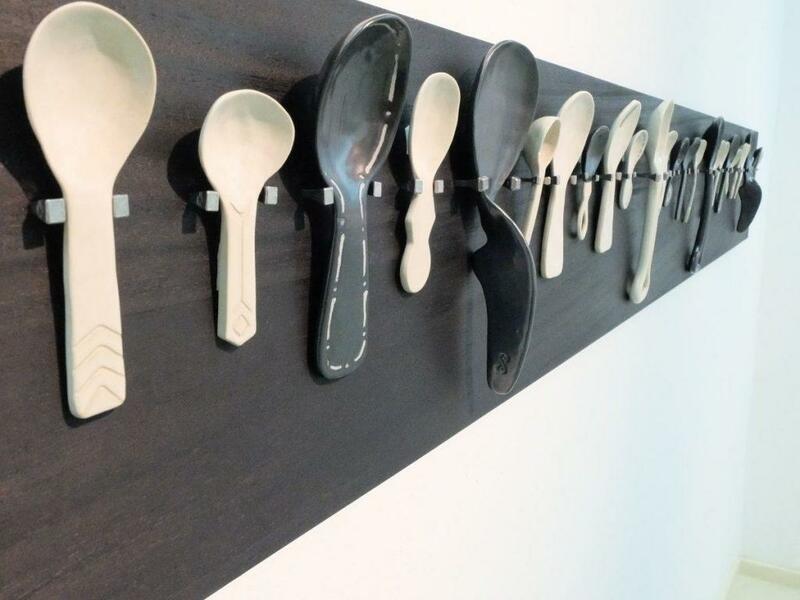 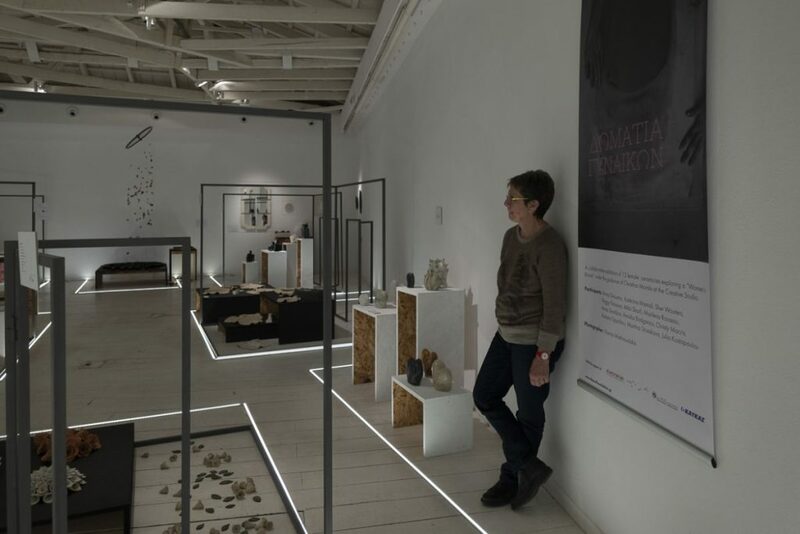 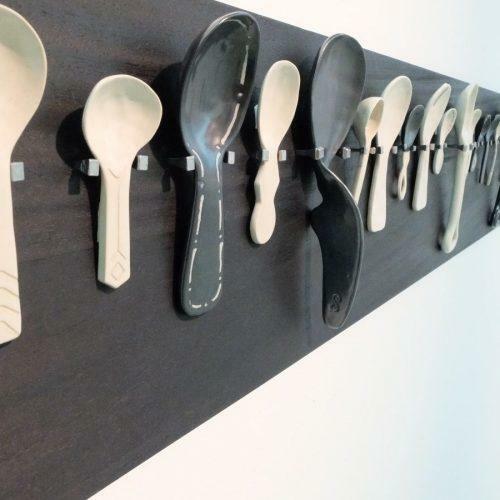 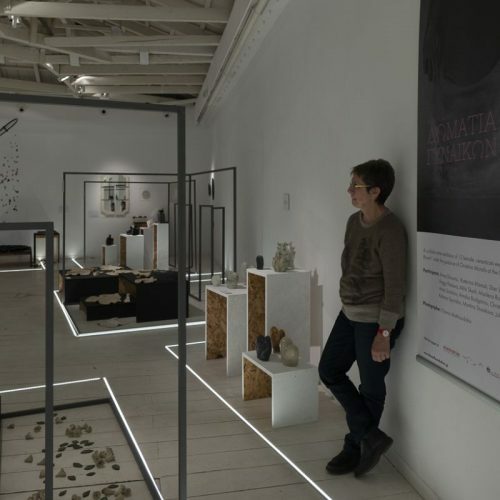 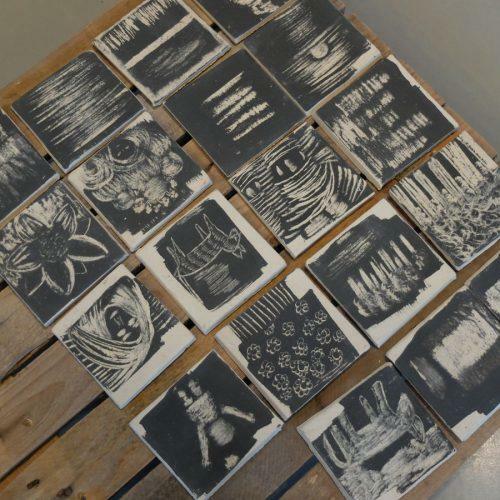 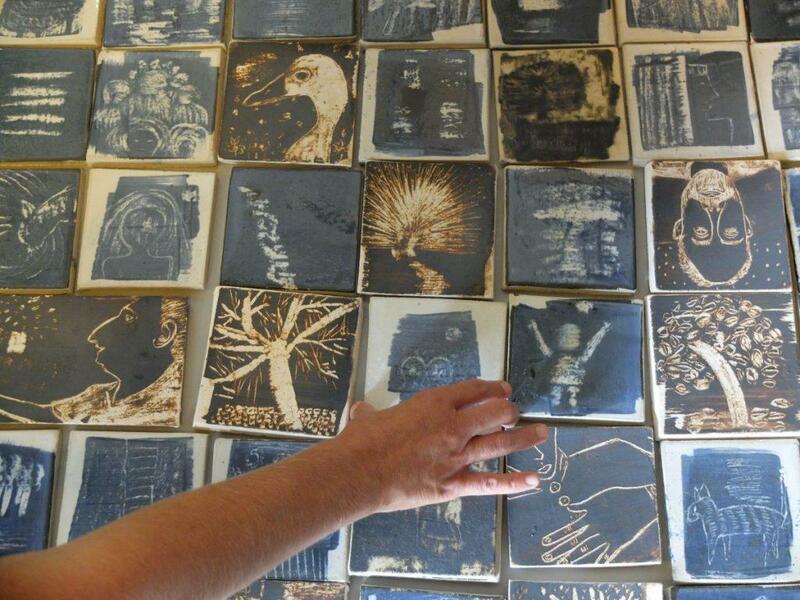 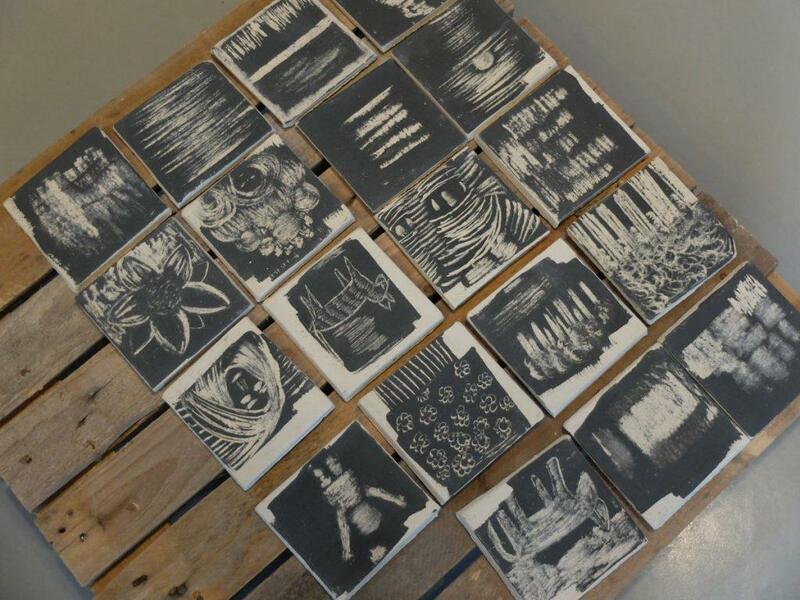 On November 2015 she tried to show the work of 14 students in a Gallery in Athens.The students that were chosen had at least 2 years of studies and the work of each one of them was unique.The results were excellent and the people who visited the exhibition were amazed with the results.They were expecting to come and see sweet little pots!But they saw matured good quality art work of people who were not professionals . 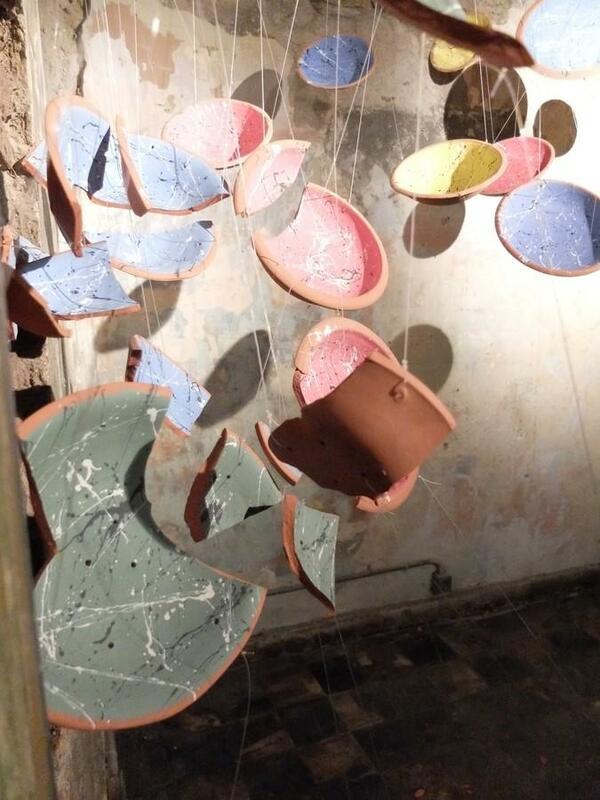 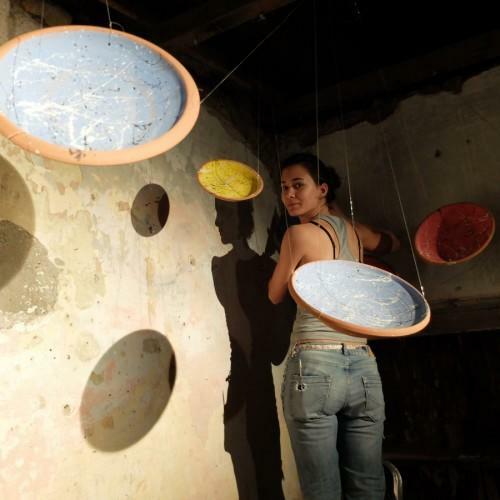 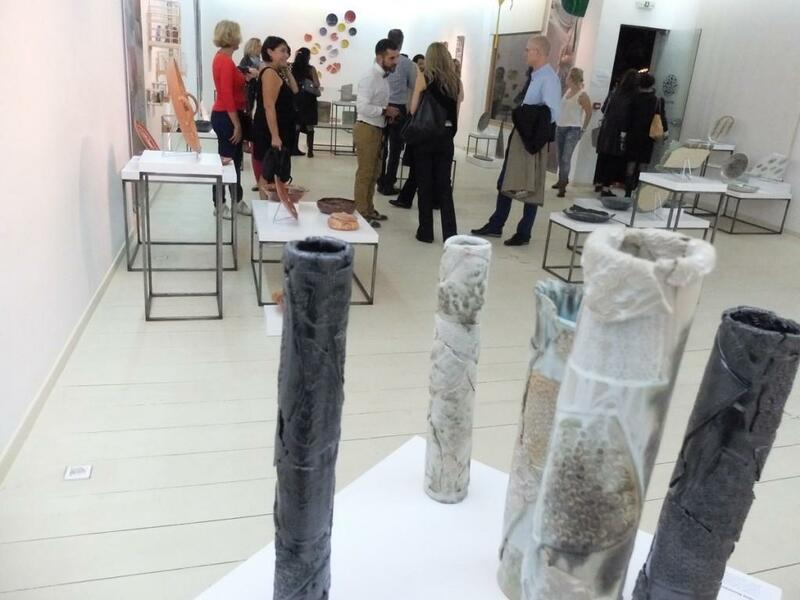 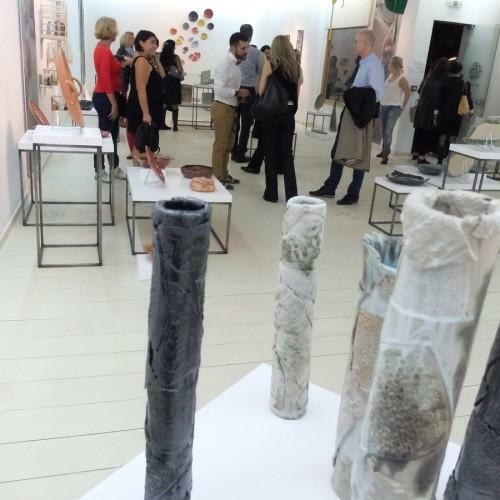 During the show the well known artist, designer,ceramist Mark Cecula was the guest of honour. 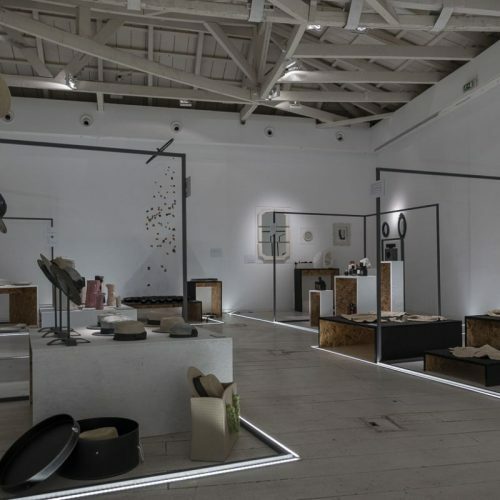 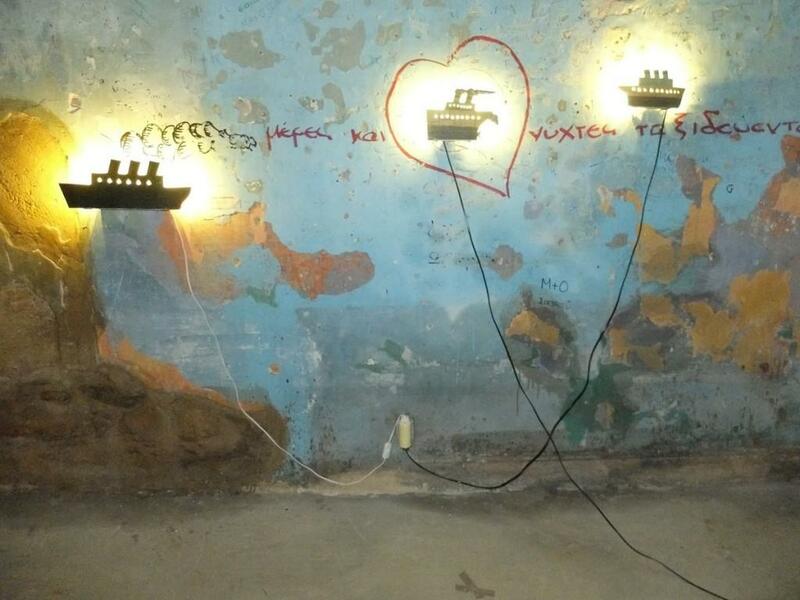 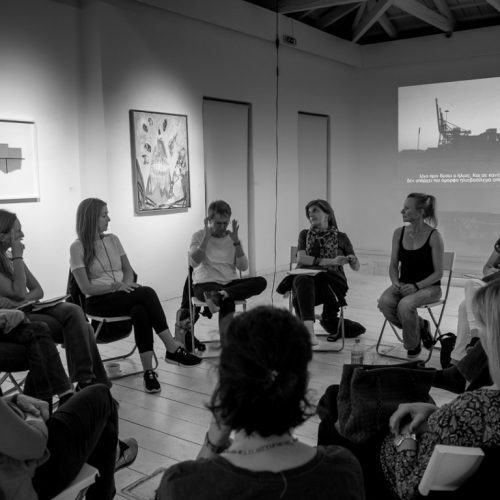 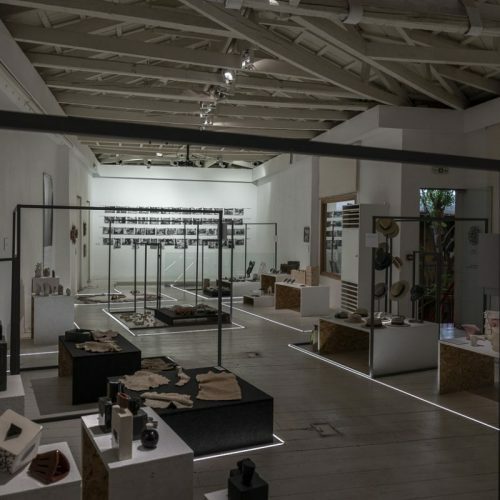 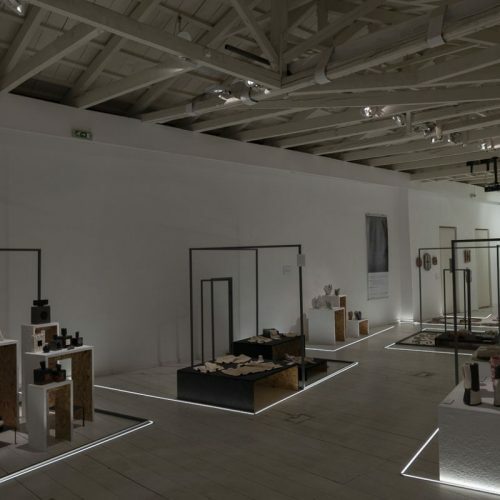 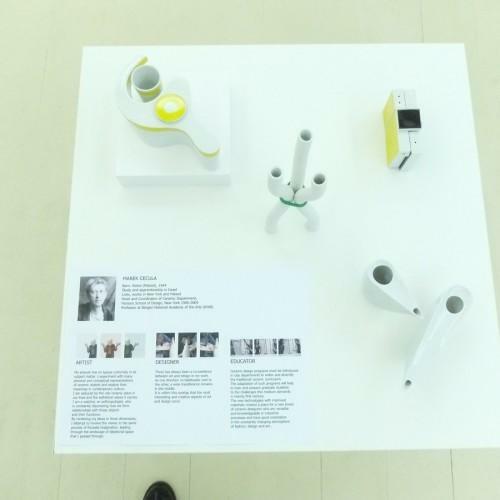 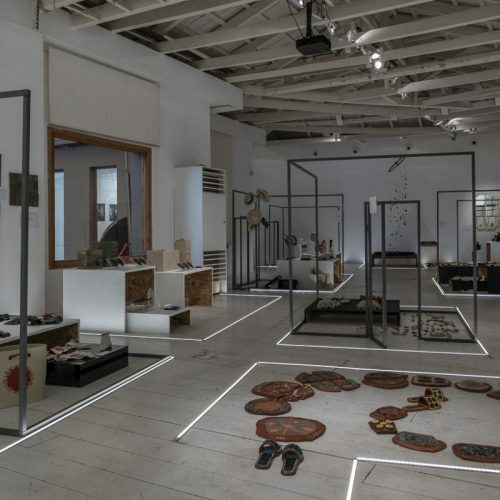 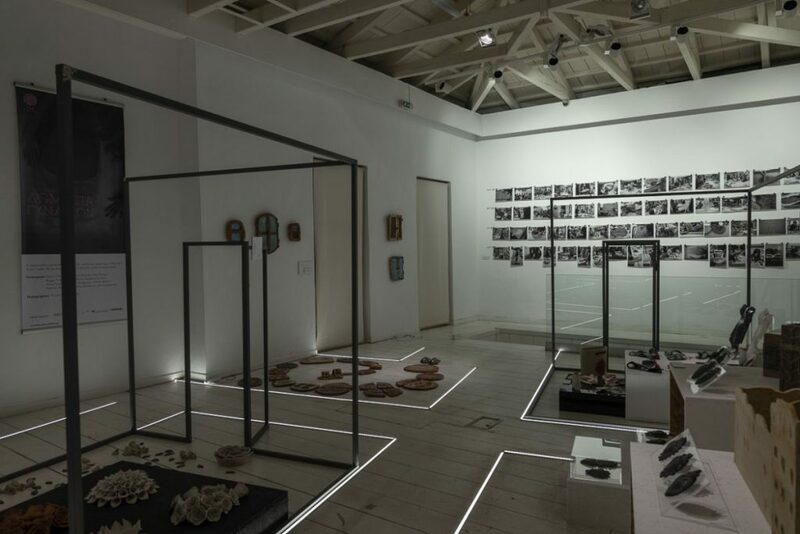 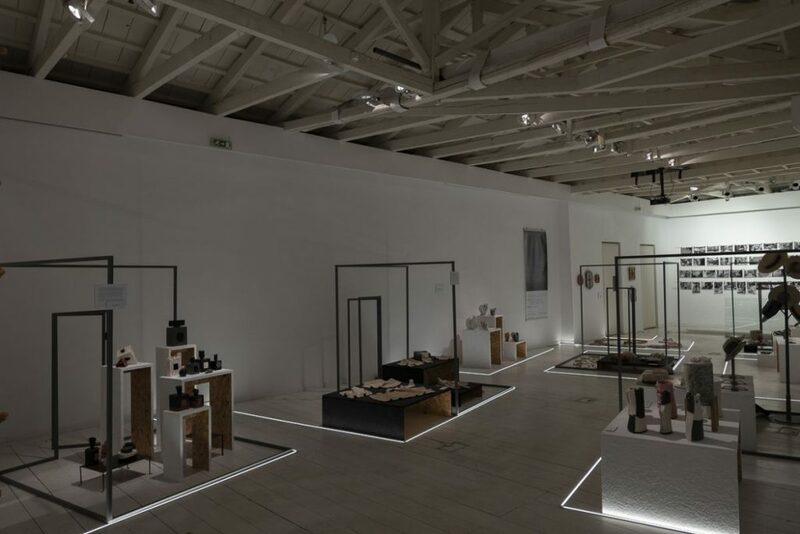 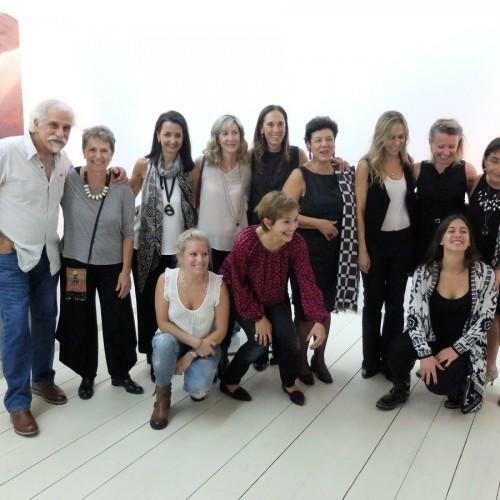 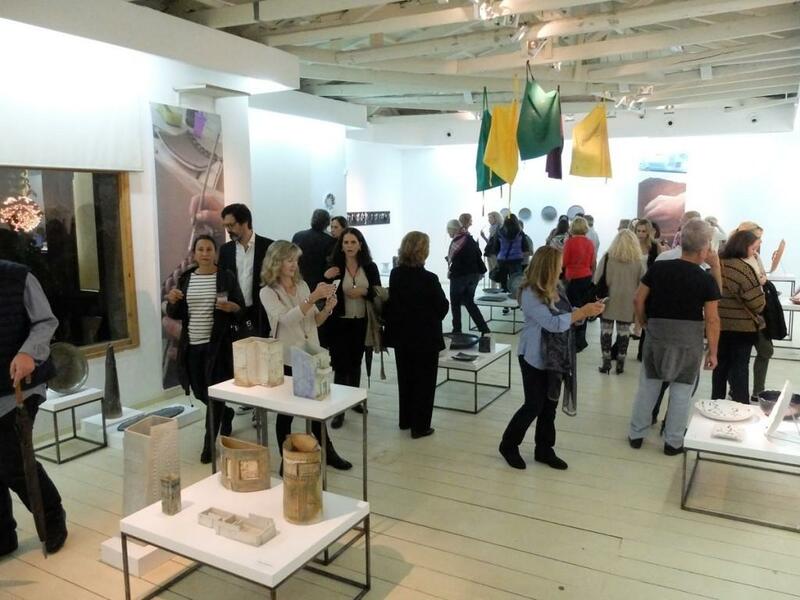 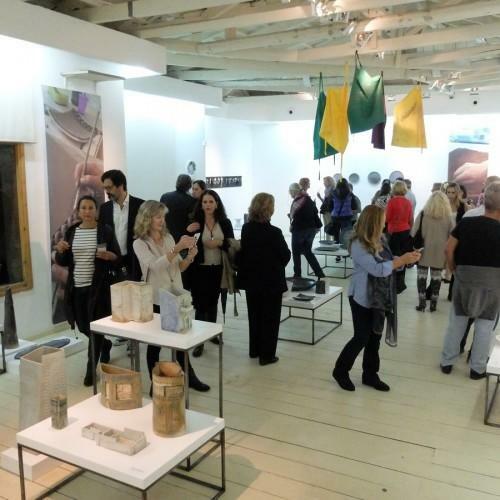 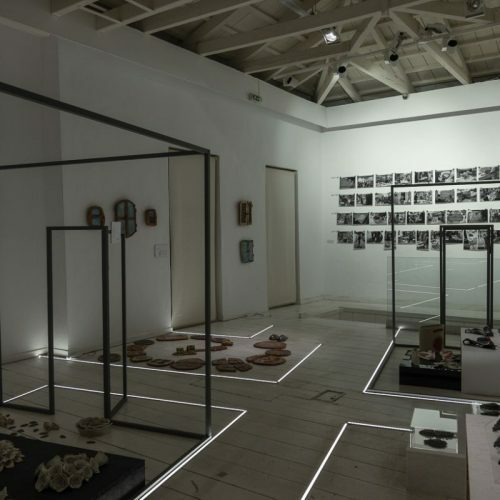 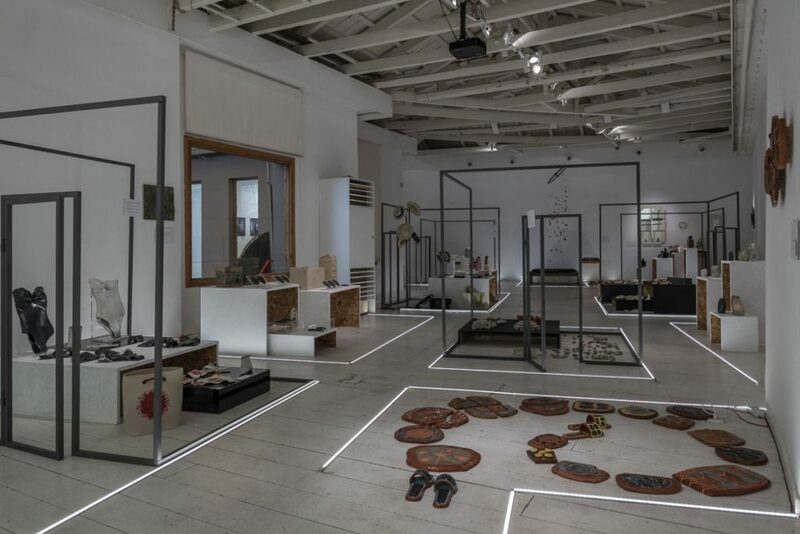 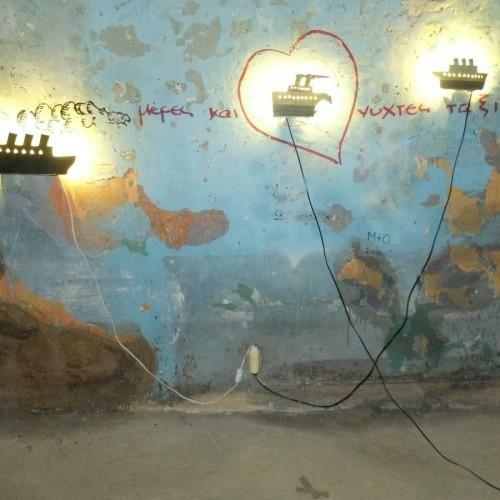 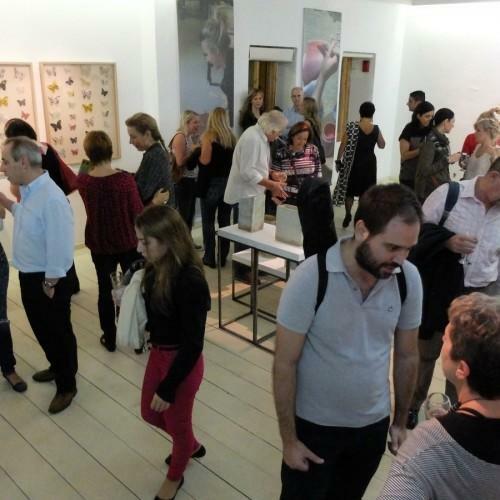 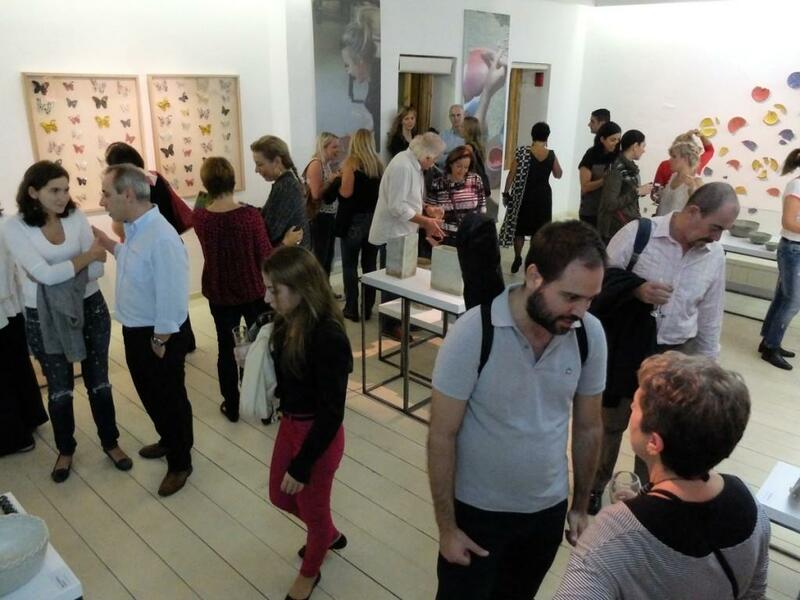 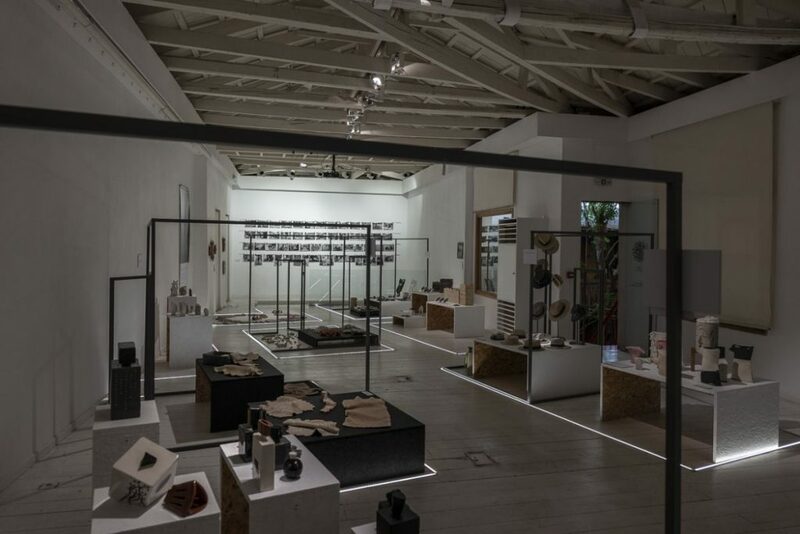 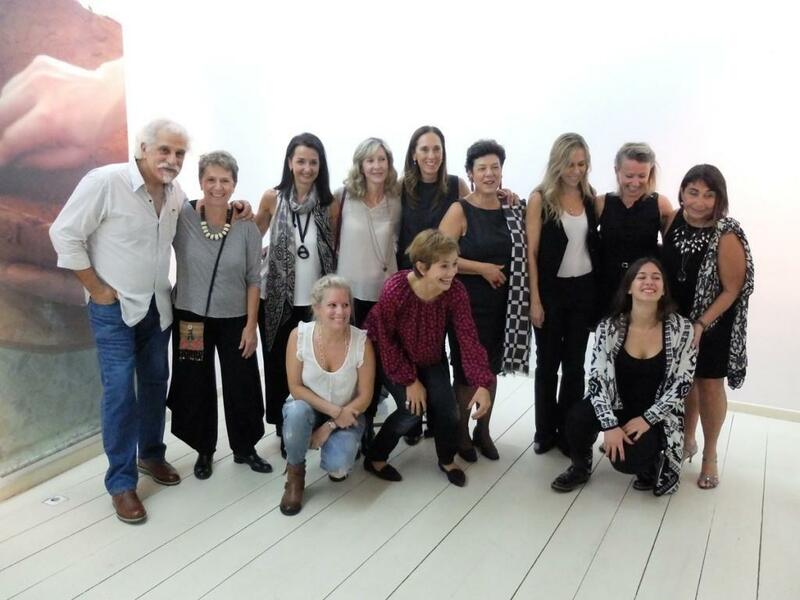 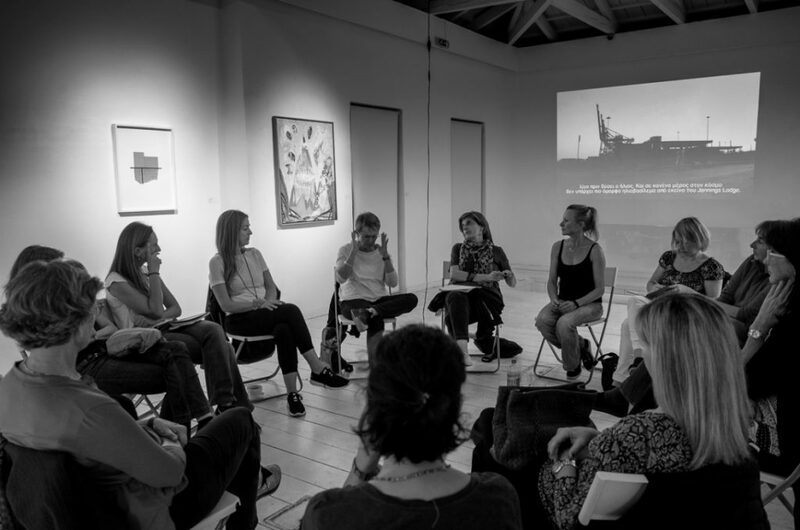 The exhibition took place in Athens-Monastiraki at `taf-theArt foundation`. 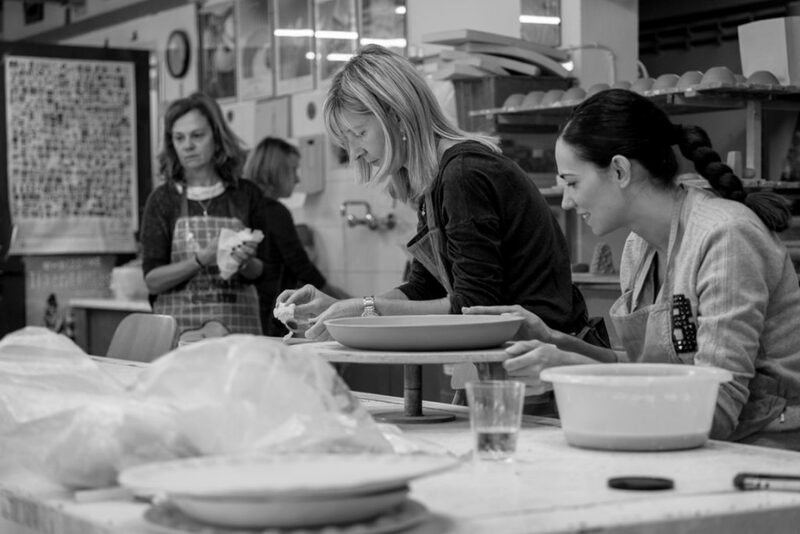 For more information about the lessons call C.Morali 6944440829.